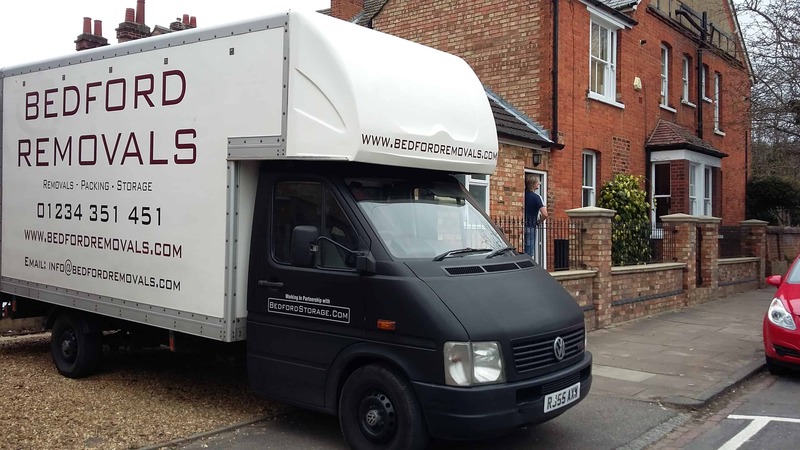 Bedford Removals are a local removals company in Bedford. Our REMOVAL service in and around Bedfordshire can also assist you with your PACKING and STORAGE requirements during the moving process if you require them. Our professional, reliable and friendly removal service covers Bedford and the surrounding Bedfordshire areas, but we can move you to anywhere in the mainland UK. We pride ourselves on delivering exceptional customer service, an expert removal service while offering value for money. Bedford Removals offer a wide range of quality PACKING MATERIALS if you would like to pack your own belongings on your move. If you are relocating your business our OFFICE REMOVAL service is second to none. We would be delighted to help you with your house move to your new home, please CONTACT US anytime. Bedford Removals, Bedford Removals company. House Removal service in Bedford. BEDFORD REMOVALS was established in 2010 and since then we have become a leading and trusted Removal Company in Bedford, Bedfordshire. Our main aim is to provide you with a professional, reliable and affordable service, whether it’s being moved down the road or to the other side of the country, we aim to please. Bedford Removals can also offer Packing, Storage, Man and Van, Office Removals and a House Clearance service. We are a local, Independent, family run organisation, we operate with honest, hardworking ethics. You can be sure that all of your possessions will be handled with the utmost care no matter how valuable and delicate. We can relocate you anywhere in the mainland United Kingdom. Environment Agency licensed House Clearance Service. Moving house can be very stressful. The experience and attention to detail of our team of experts will ensure everything runs smoothly, giving you peace of mind on your moving day. Our experienced and fully trained staff are dedicated to ensuring high standards and total customer satisfaction in all aspects of our services. 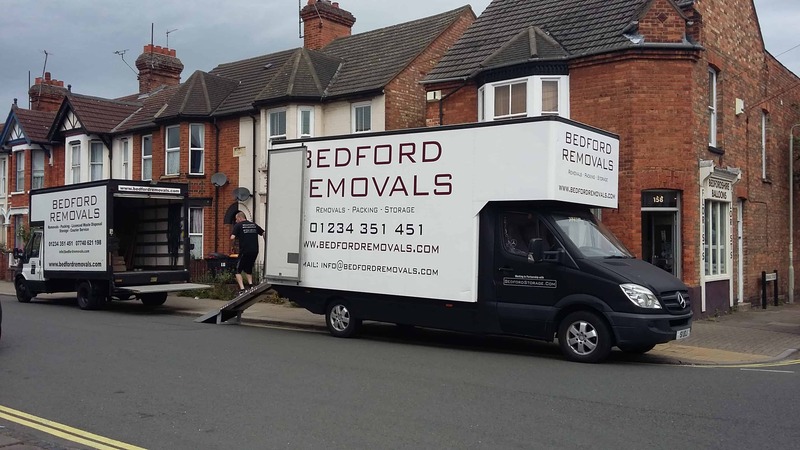 Whether we’re packing your home into boxes, or moving your office into storage, Bedford Removals strives continually to exceed customer expectations. Our team will go the extra mile to ensure your moving day goes without a hitch. Why not take a look at our Recommended local businesses that we work closely with on a day to day basis. Bedford Removals service in, MK40, MK41, MK42, MK43, MK44, MK45, Bedfordshire, Milton Keynes, St Neots, Kempston, Sandy, Wootton, Wixams, Great Barford, Sharnbrook, Elstow, Renhold, Ravensden, Wixams, Biddenham, Bromham, Clapham, Oakley, Henlow, Sharnbrook, Shortstown, Buckden, Little Paxton, Little Staughton, Keysoe, Cambourne, Woburn, Woburn Sands, Cranfield, Aspley Guise, Rushden, Marston Moretiane, Wilstead, Houghton Conquest, Ampthill, Flitwick, Kimbolton, Rushden, Biggleswade. Bedford, Shortstown, Wilstead, Kimbolton, Wilden, Kempston, Wootton, Clapham, Oakley, Biddenham, Bromham, Sharnbrook, Turvey, Gt Barford, Roxton, Felmersham, Radwell, Elstow, Cardington, Great Denham, Pavenham, Wixhams, Harrold, Ampthill, Stagsden, Flitwick, Sandy, St Neots, Putnoe, Brickhill, Goldington, Milton Keynes, Woburn, Salford, Olney, Silsoe, Carlton, Cranfield, Blunham, Biggleswade, Rushden, Eaton Socon, Woburn Sands, Northampton, Bedfordshire, Buckinghamshire, Northamptonshire and many more. We can move you anywhere in the mainland UK.